Grease 2 large plates or trays and set aside. Combine the filling ingredients in a small bowl and mix until they are well combined. Divide the paste into 10-15 equal-sized pieces and roll in to ball shapes. Place them on one greased plate or tray and cover with cling wrap. Sieve the flours into a large mixing bowl and mix together before adding the butter and hot water and kneading to make one large piece of dough. Divide the dough into 10-15 equal-sized balls before place onto the second greased plate or tray. Cover with a damp tea towel. Roll out one ball of dough and wrap it around one ball of the paste and seal the dough around it. Repeat with the rest of the dough and paste. 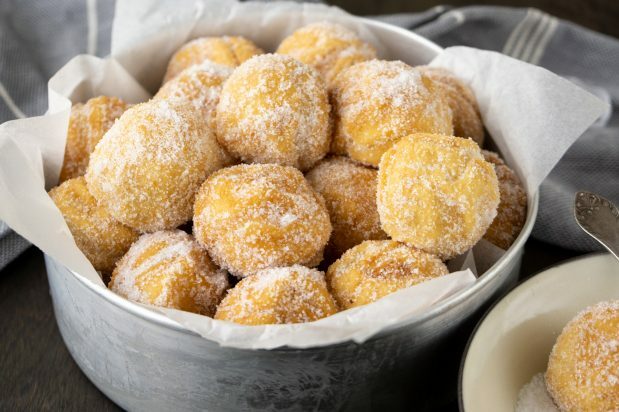 Pour enough oil in a pot to fry the doughnuts and heat it up to 150°C. 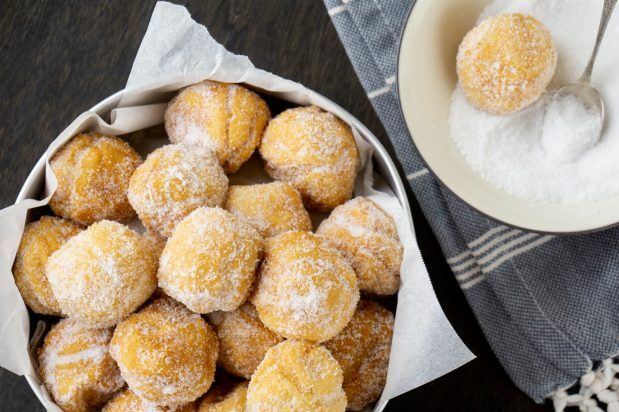 Place a batch of the doughnuts into the pot and fry until golden brown in colour. Use a spoon to stir occasionally to ensure that the balls cook evenly and don’t stick to the bottom. When the doughnuts have cooked, transfer them from the oil to some paper towels to drain while they cool down. 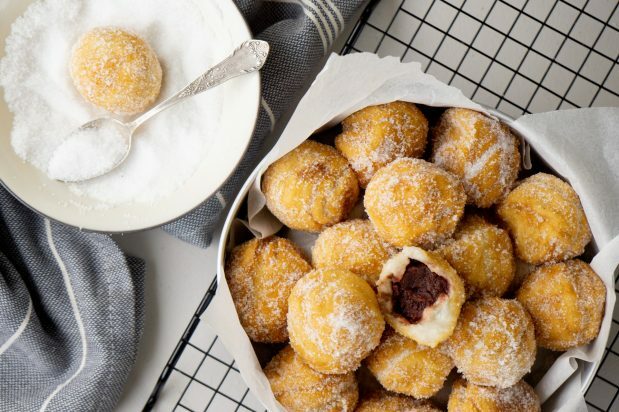 When the doughnuts have cooled down, coat them with caster sugar and serve!